Typically you want your pole to be horizontal when in use. 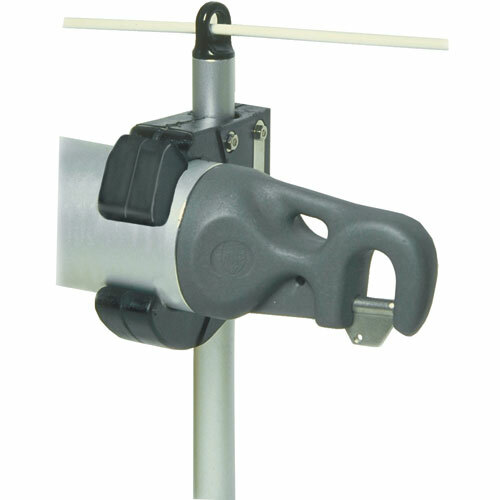 Therefore, test your boat with the pole mounted on the genoa to determine where the mast fitting should be. The exception to this is with rough seas and/or gusty winds. In this case, the pole is normally mounted higher on the mast, pointing down towards the genoa clew, with the windward side genoa sheet pulled snugly to create a V-shaped brace that helps hold the genoa clew in position and stops it from bouncing. In order to do this, a second fixed ring mount will be needed or an adjustable car mounted on a T-track. The alternative is a 3-point mount described in the How to use tab. Elaborate line control mast mount systems are also available from chandleries but will end up costing you more than the cost of the pole. 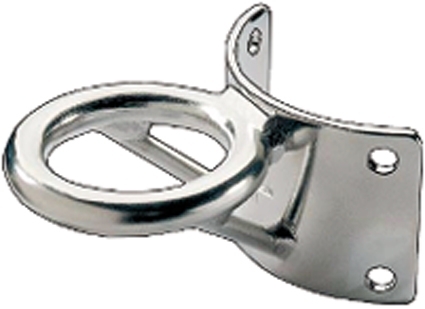 These are slick, allow the pole to be permanently attached to the mast ring, enable you to hoist this ring up high with lines and turning blocks, and then snap in the bottom end. These are highly recommended when you have a large, heavy, unwieldy pole. 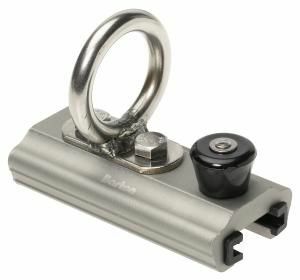 There are a very wide range of alternatives for mounting your whisker pole when it is not in use. The simplest solution is clipping one end on a shroud and setting the forward end at the bow. A step up from that would be to hang a bungie cord on your bow pulpit to hold the forward end of the pole. 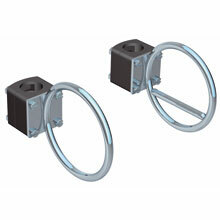 Other official solutions are available for stansion mounting brackets. Deck chocks are also available but cluttering your deck with a tripping hazard and result in holes in your fiberglass, therefore not recommended. We are in the Toronto area, and proudly Canadian. Buy your whisker pole from us.